It may be easier than you think, and at a price within reach. If you have inkjet addressing equipment that is five years or older, now may be a great time to consider upgrading. We all know technology is continuing at a rapid pace across all aspects of our everyday life, and production inkjet equipment is no exception. Today’s piezo drop on demand inkjet systems, such as our UltraJet and Phoenix have numerous benefits over older piezo and thermal inkjet systems (TIJ). The most noticeable is an improved quality image and faster speeds. Today’s printheads allow for more control of drop sizes which not only allows for better image control, but also allows control of the amount of ink used in a job which can lead to lower operating costs. In fact, ink costs are noticeably lower with a piezo system than a TIJ cartridge-based system, as low as one tenth the total cost of ink. The faster speeds obtained in today’s inkjet systems can lead to increased production and more throughput for greater profitability. Our Phoenix, with its landscape printing capability can replace two TIJ systems thereby generating huge savings thru reduced ink and labor costs. 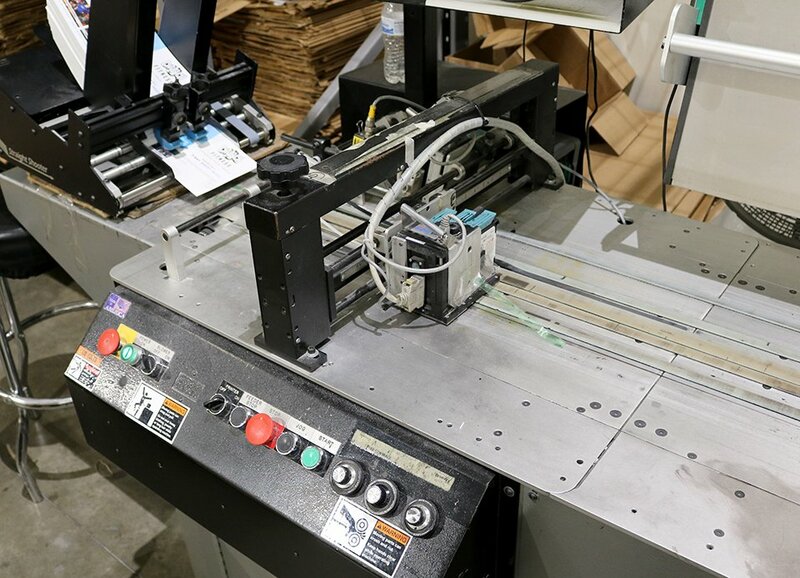 The simplicity and ease of use with these newer systems allow for less experienced labor and the need for specialized training, especially compared to continuous inkjet systems (CIJ). Service and maintenance is extremely easy with modern piezo inkjet systems. For example, our UltraJet and Phoenix can be up and running within 5 minutes at the start of every day. Shut down at end of day requires a quick flush of the print head, which is simple as pressing a button. This removes ink from the printhead so that it doesn’t clog and damage the head. Then a quick snap on of a protective cap and you are done, about 5 minutes total. Previous aqueous inkjet systems could only be used on porous substrates such as envelopes and uncoated paper. Running coated stocks required a solvent based inkjet system with higher ink costs and maintenance issues. Now, with the new developments in Ultraviolet (UV) inks, there is no need to decide between an aqueous or solvent based system. The UV ink is “cured” immediately after passing under a LED UV light source, instead of being dried by a heat source. This allows one system to print on a wide variety of substrates and coatings as well as some laminates and plastics. Maintenance and overall life expectancy of a UV print head is longer than that of an aqueous or solvent system. Upgrading your inkjet unit on a Kirk-Rudy base, in most cases, is fairly easy. Today’s inkjet systems are smaller and more compact than older units. Our UltraJet v21 has proved to be a good replacement for our older WaveJet inkjet systems. The KR215 and KR219 vacuum bases that have been on the market for a while are exceptionally well built so that a few simple upgrades and maintenance will provide a long lasting, quality transport base for all your inkjet needs. If investing in a whole new inkjet system has you nervous, consider an upgrade to one of our newest inkjets using your existing base. With KR Capital financing, requiring little upfront costs, you could upgrade your inkjet system and achieve immediate ROI. Contact us today or the Kirk-Rudy dealer in your area for a free consultation.